"I have received many compliments on my teeth as a result of Dr. Clark's efforts. I referred a number of people and they all are delighted to have found him." "My wife and I rely on Dr. Clark and his team because of the friendly, efficient, professional experience they provide. " "The most personalized service I have ever received from a dentist. They invest time into my cleaning and getting to know the patients." 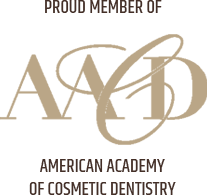 Our cosmetic dentist near you in Charleston is committed to creating confident smiles using a combination of advanced dental services and routine examinations. We can help you restore your smile with advanced whitening treatments, veneers, porcelain crowns and routine dental cleanings. Our cosmetic dentist and dental staff get to know your needs in order to provide the preventive care you depend on. Make your smile last a lifetime by visiting our Charleston cosmetic dentist at Atlantic Esthetics. Our staff at Atlantic Esthetics would love to be your preferred Charleston dental office, whether you need general family dental care or cosmetic upgrades. We offer routine cleanings and fillings, in addition to our specialties, which include crowns, veneers, and custom dentures. Although we are known for our cosmetic dentistry services that improve the appearance of your smile, our mission is to provide thorough dental care that prevents gum disease and oral cancer. Our highly-trained Charleston prosthodontist, Dr. Adam Clark, will help you make your best smile a reality with a thorough evaluation and suggestion of beneficial procedures. A vibrant smile that makes you feel confident is just one phone call away. Contact Atlantic Esthetics in Charleston today or request an appointment online. 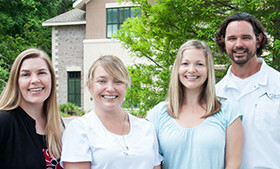 Adam Clark's Practice has been recognized as one of the top Charleston Dentistry practices.